Today is the official publication date of Witches and Witchcraft in Ely: A History, my short account of Ely’s special place in the history of English witchcraft. The ‘witch of Brandon’, an old women who consulted with an oracle called the ‘guardian of the springs’, attempted to curse the army of Hereward the Wake in the Isle of Ely in 1071, shouting her imprecations from a high wooden gantry. She is one of the first ‘witches’ to appear in English history, although the Latin sources use a variety of appellations for her, none of them necessarily cognate with ‘witch’. In the fifteenth century, Ely was the scene of the trial of Richard Barker of Babraham, one of the best-recorded cases of necromancy from this period (the original record of the trial survives in Cambridge University Library), but again, it is unclear whether Barker was a witch in the early modern sense. Elizabeth Mortlock, tried at Ely in 1566, was described as a ‘witch’, but her crime was curing people and protecting them from the fairies using a magic girdle. 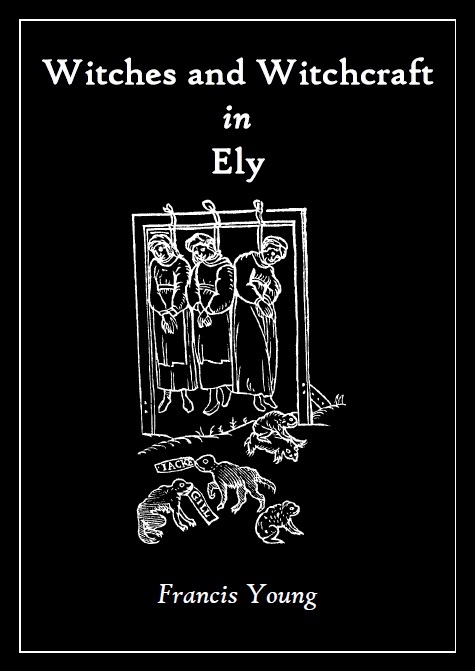 It was not until the seventeenth century that Ely became the focus of a series of witch trials, culminating in September 1647 with the Isle of Ely assizes, at which the last victims of Matthew Hopkins and John Stearne’s witch-hunt were put on trial, and some were convicted and hanged. Hopkins himself was dead by this time, but his assistant Stearne lived to carry on his work. As late as 1679, a witch trial took place at Ely, although in that case the accused received a royal pardon. The final part of the book examines belief in witchcraft in the Fens around Ely since the seventeenth century; the Cambridgeshire Fens were one of the last places where people continued to genuinely fear witches until well into the twentieth century; the last instances of apotropaic practices and accusations date from the 1930s, although it seems likely that belief in some form probably lingers on in some areas. I will be launching my book at Oliver Cromwell’s House on Wednesday 16th October. This entry was posted on October 1, 2013 by jacobite.